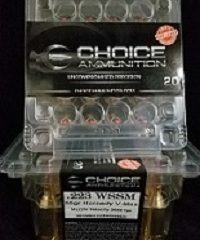 .223 Winchester Super Short Mag (WSSM) 55 grain V-Max- Extremely hard to find this round and impossible to find with the quality and consistency which we load!! The .223 WSSM was introduced in 2003 by the Browning Arms Company, Winchester Ammunition, and Winchester Repeating Arms Company. Although the case design of the .223 WSSM is radically different from traditional cartridges, performance is much the same as other ultra velocity .224’s such as the .220 Swift, .22-250 and .22-243. Browning rejects the charge that the .223 WSSM round is especially hard on barrels: “The 223 and 243 WSSM cartridges are said to ‘burn up’ barrels in as little as 300 rounds. Nothing could be further from the truth..
For those enthusiasts who have a need for velocity and stopping predators dead in their tracks, this caliber is an enticer for sure! This caliber is a screamer with attitude! With its combination of proven materials, innovative design and streamlined profile, the V-MAX represents the pinnacle of what a specialized varmint bullet can achieve, offering straight-line trajectories, enhanced accuracy, dramatic expansion and explosive fragmentation at a wide range of distances and velocities. The industry’s leading varmint bullet with polymer tip and streamlined design results in flat trajectories. The concentricity of the match grade AMP bullet jacket provides maximum accuracy at all ranges as well as explosive expansion. The secret to the explosive terminal performance of the V-Max is a hollow cavity resting between the tip’s shaft and the body of the bullet. Upon impact, the hard shaft builds up speed and energy before driving into the core, causing the entire package to rapidly expand to the point of violent fragmentation, even at low terminal velocities. Hornady combines the sharp, pointed polymer tip with the most aerodynamic profile for a high ballistic coefficient. The V-MAX® profile also provides the maximum bearing surface for added in-flight stability. The swaging process allows precise formation of the core up and around the tip, with a cavity under the tip’s stem. This allows the tip to build up energy before smashing into the core, causing dramatic fragmentation of the core and jacket. 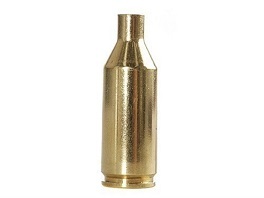 .223 Winchester Super Short Mag (WSSM) 60 Grain Soft Point- Extremely hard to find this round and impossible to find with the quality and consistency which we load!! 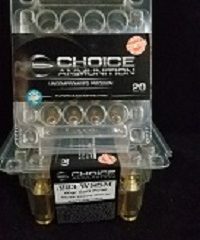 Choice Ammunition has taken our 100% hand-loading techniques and produce an extremely accurate, highly dependable round for the 223 WSSM in this load. Our loading tolerances are only matched by passionate hand-loaders in their own loading rooms. Consistent seating depths, powder charges and proprietary formulas of Choice Ammunition, make this 60 grain Soft Point round the best you can buy on the commercial market today. The Hornady line of traditional Varmint bullets features a streamlined design for flat trajectory. Its lead core and match-grade copper jacket represent the original standard created by Joyce Hornady for classic varmint hunting. Primarily comprised of spire point profiles and flat base designs, the bullets perform extremely well even at low velocities and deliver excellent performance in many classic varmint rifles.